You want to grow your audience and influence as an entrepreneur, and that’s exactly what having your own podcast can do! But you don't want to spend months of frustration trying to figure out how to launch your own show and get noticed by your ideal audience. “Unlock the Power of Podcasting” teaches you everything you need to know to get your OWN show up and running in just 60 days, even if you’ve never held a mic and have ZERO tech skills! 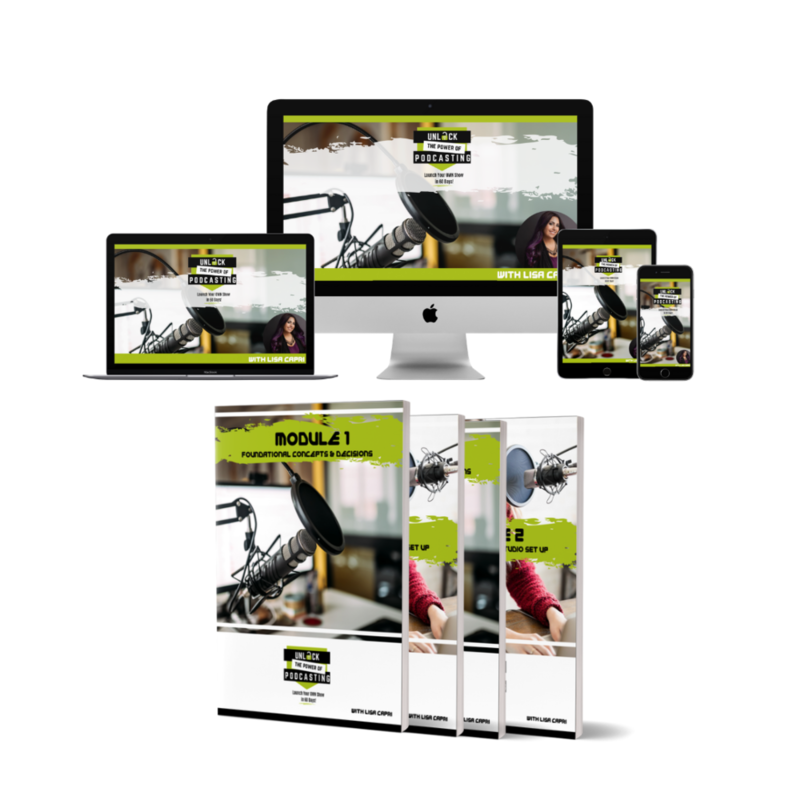 Four modules show you the EXACT steps to take to launch your own podcast in just 60 days! Each workbook walks you through the material you're learning in your video tutorials, reinforcing concepts and helping you make exciting decisions about your own show! 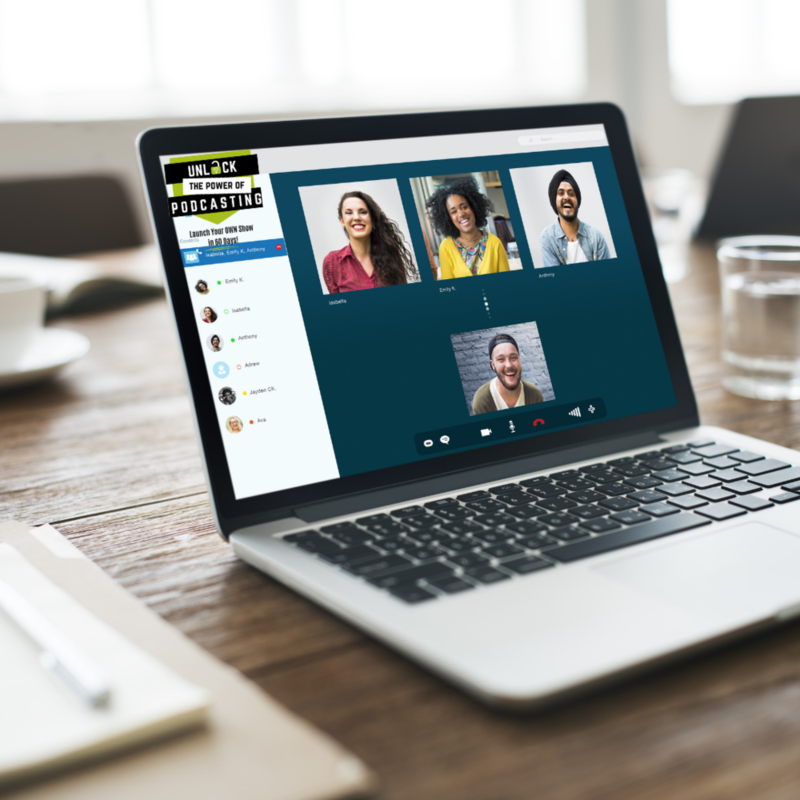 Live classes you can attend every week via video conference to reinforce what you're learning, ask YOUR OWN questions, and learn from other podcasters. But don’t worry if you can't make it to one of the video conferences - they’re all recorded and the replay is sent directly to you! Get daily access to your Podcast Coach and other students through our private FB group! Receive daily prompts, special challenges, feedback from your instructor and fellow students all inside of our private community. Wanna know a teensy bit more? Lisa Capri is Host of Raise Your Frequency Podcast, a weekly show tackling lifestyle and productivity hacks for entrepreneurs. Her podcast was recently awarded Feedspot’s “Top 20 Productivity Podcast”. With over 15 years of being a serial entrepreneur, Lisa teaches her students how to grow their community, influence and audience through podcasting. Will YOU be launching a podcast this year with Lisa as your guide? There is currently a Wait List to enroll in this course, so to be sure you are the first to know when the next spots open up, get your name on that list! Enter your info below so you don’t miss a beat! Awesome! You’re on the list! There’s already an email on its way to you to confirm you’re on the list, so be sure to check your inbox within a couple of minutes. If you don’t see it there, be sure to check your Junk, Spam or Promotions folders just in case it slipped in there!